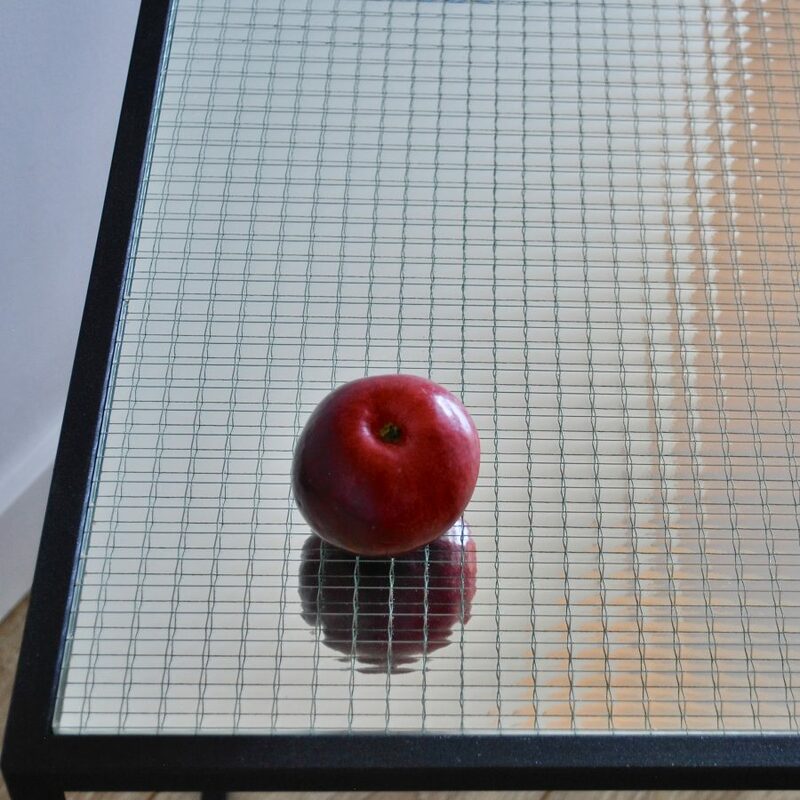 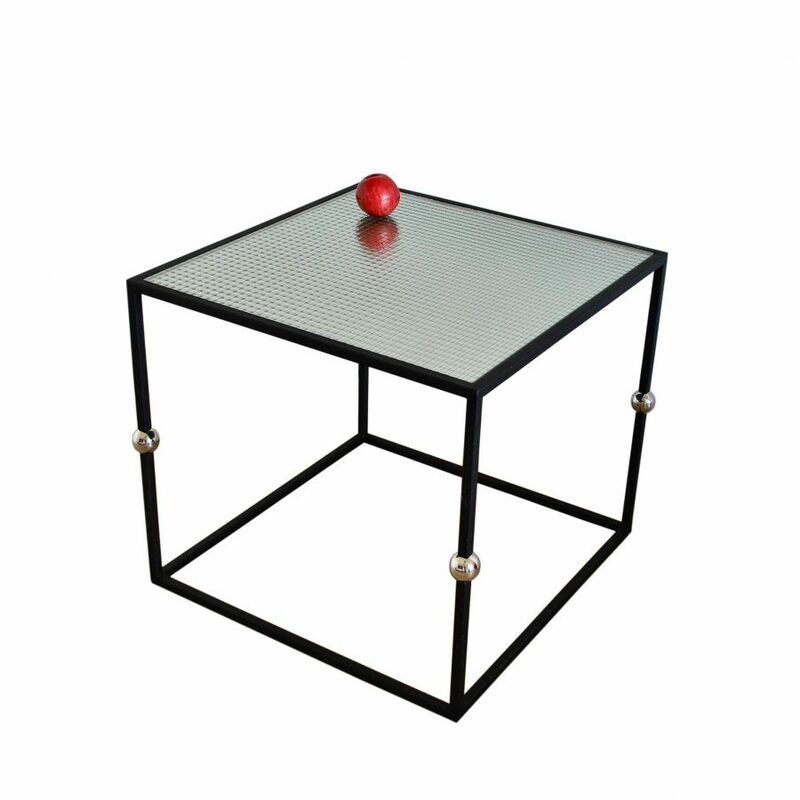 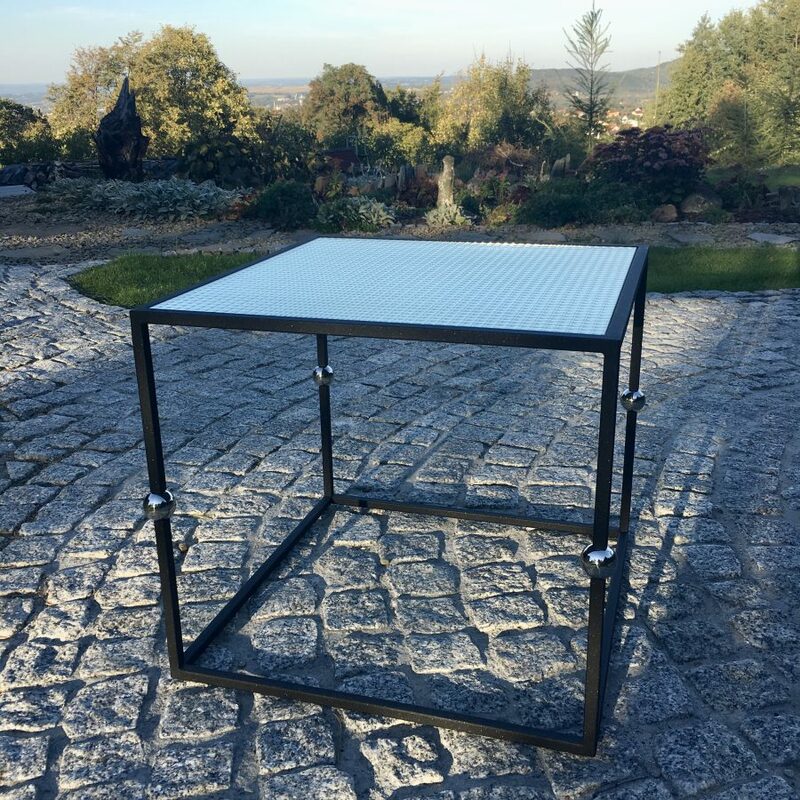 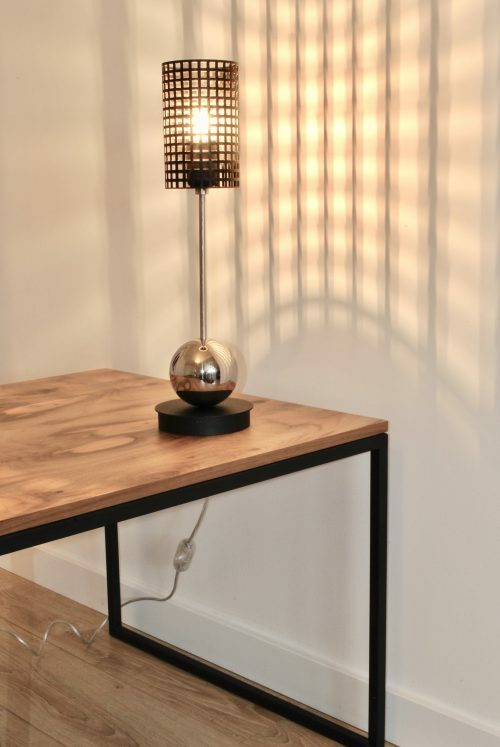 Table of steel construction with inserted handmade balls of stainless steel. 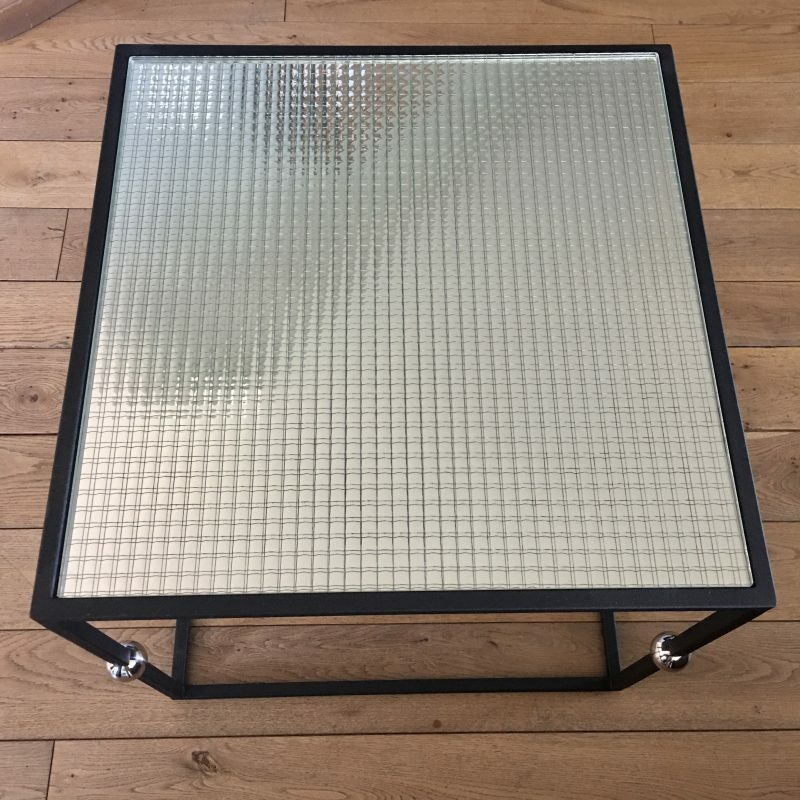 Industrial mirrored glass reflecting light top . 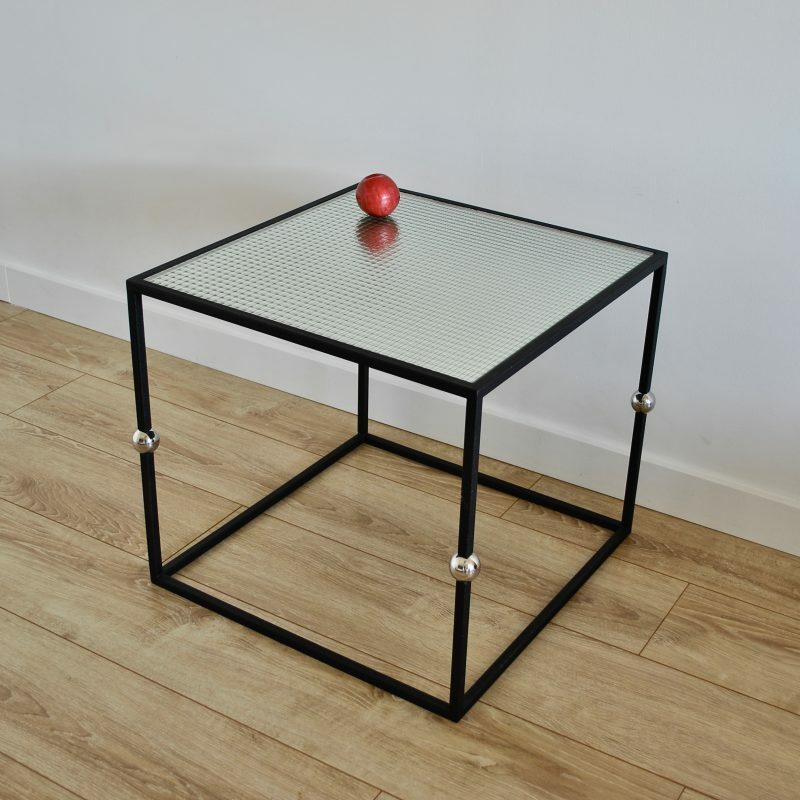 This unique coffee table reflects light and adds brightness to any room. 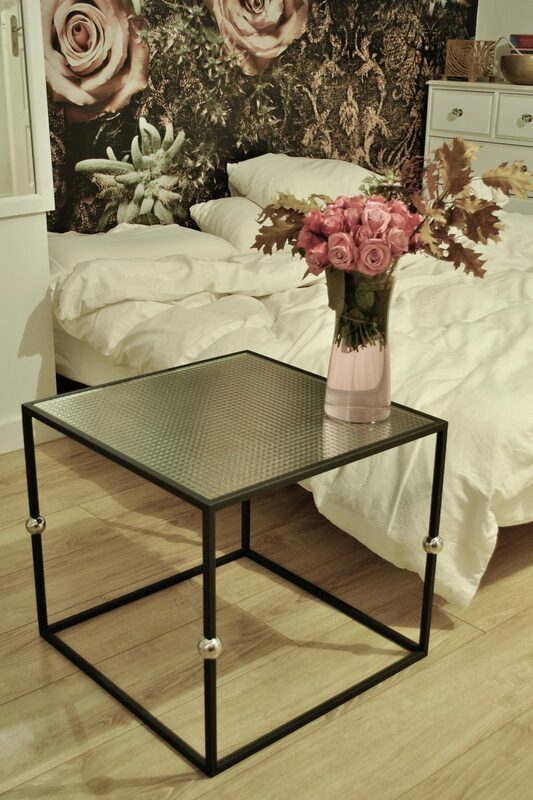 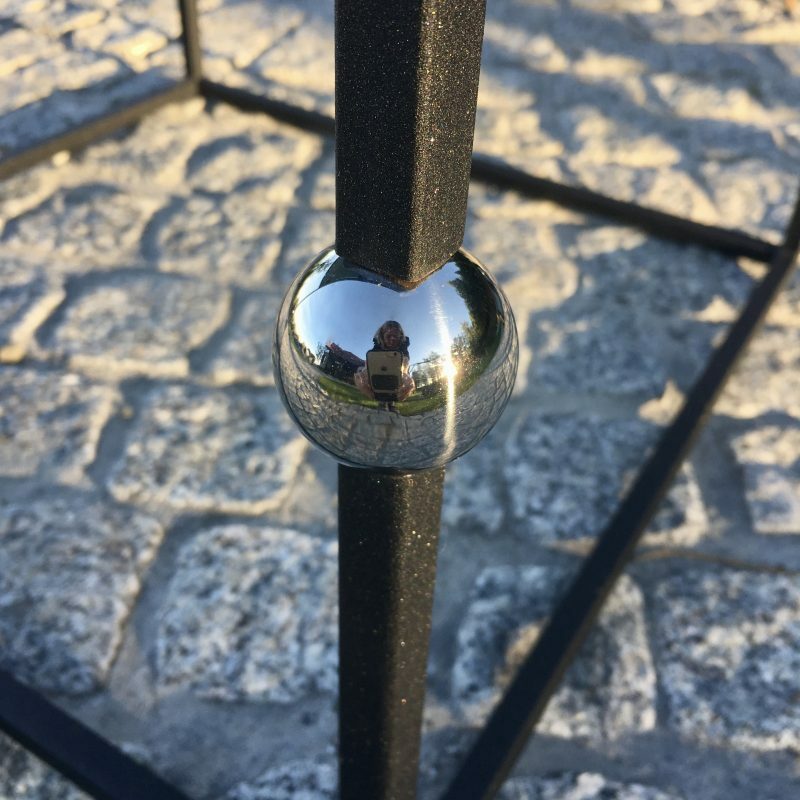 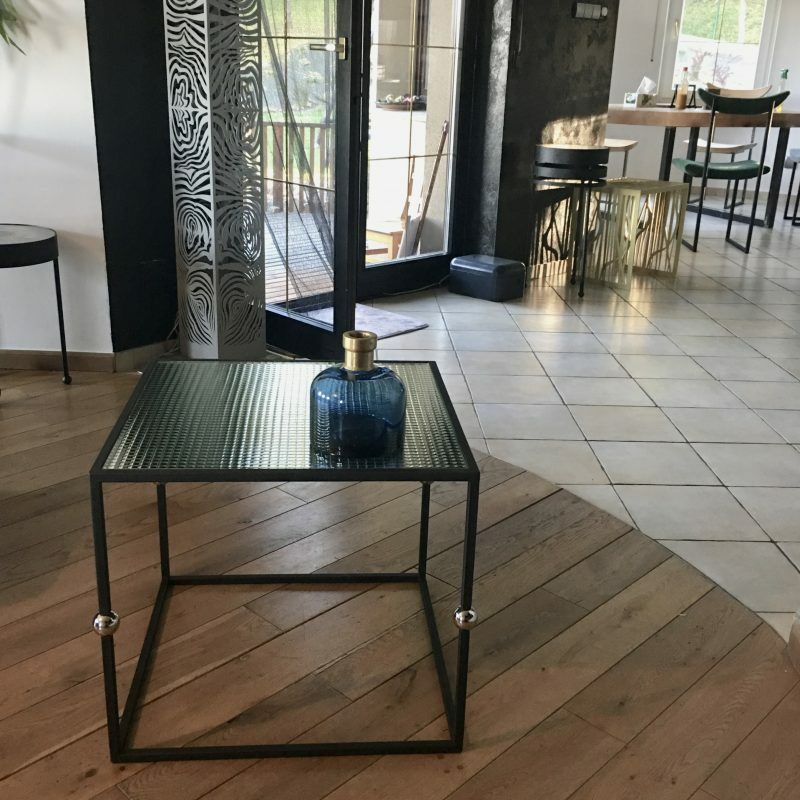 Sturdy solid metal base powder coated in sparkly black matt is holding industrial mirrored glass. 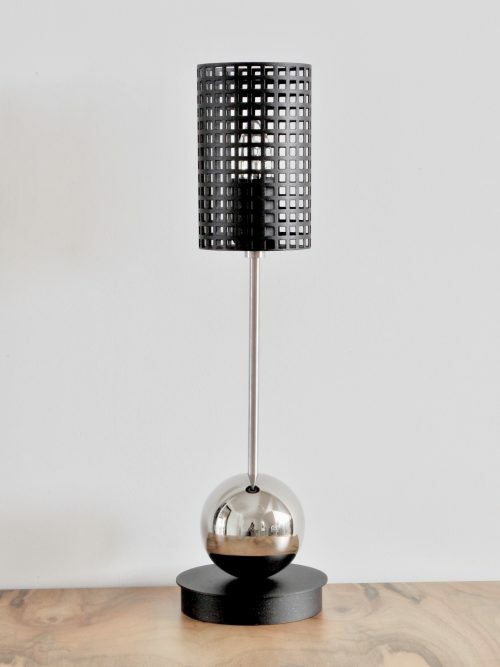 There are four handmade stainless steel polished balls fixed into the legs.